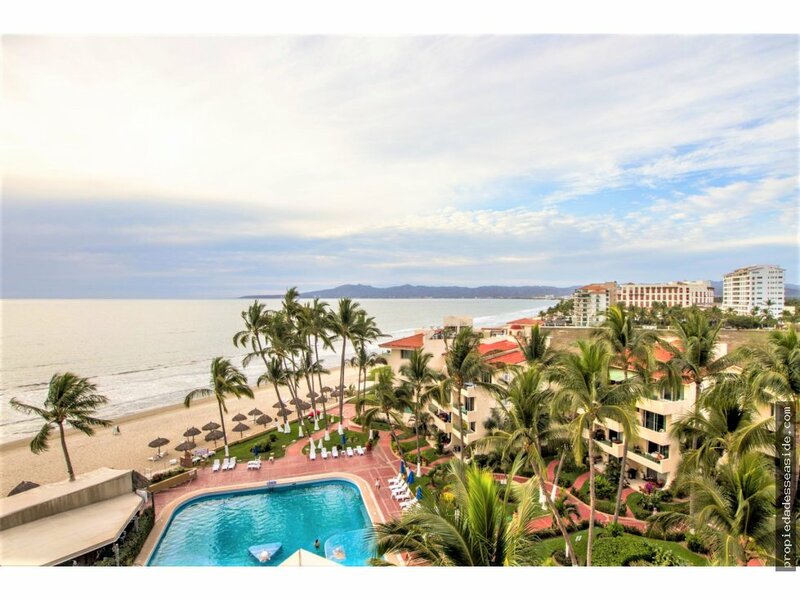 Oceanfront condo for sale in Nuevo Vallarta with amazing views! 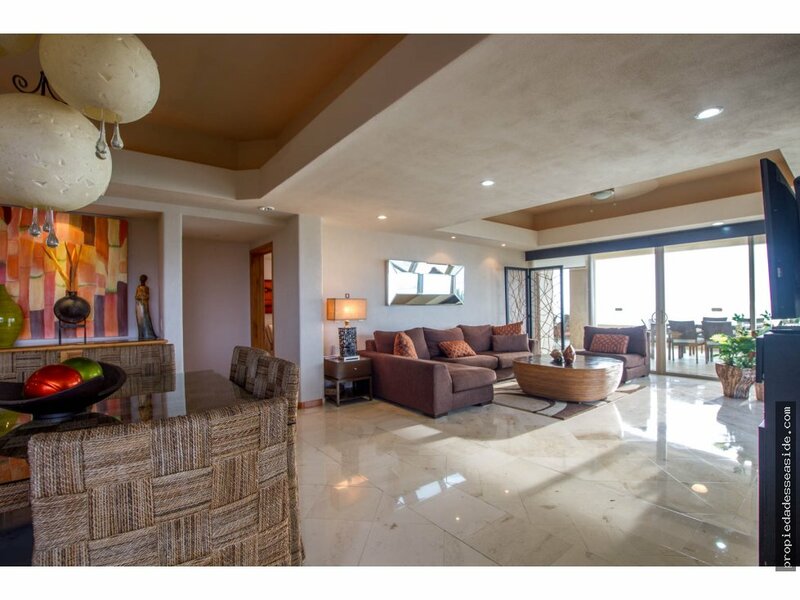 Magnificent and spacious 340.34 m2 condo for sale in Ocean Terrace, with amazing ocean and mountain views, in the exclusive and prestigious Nautical, Tourist, Residential Development of Nuevo Vallarta in Riviera Nayarit. 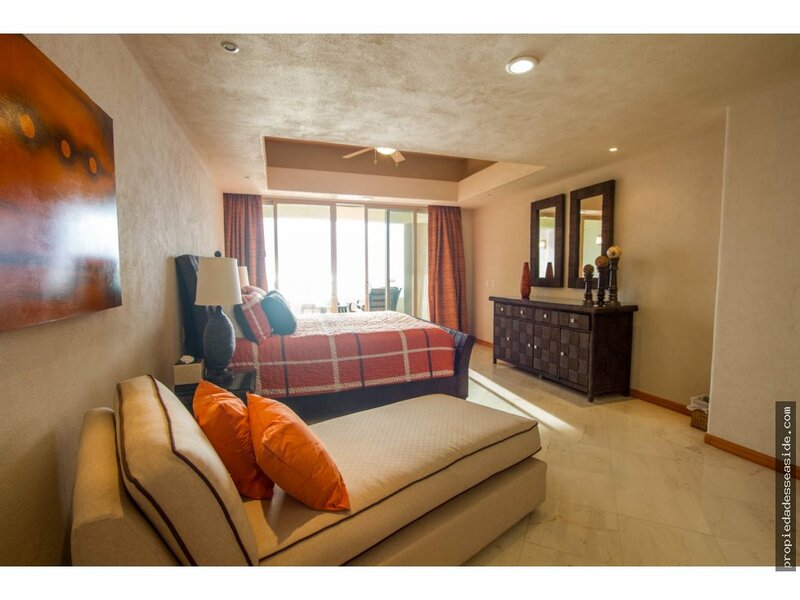 This unit is fully equipped and furnished, ready for you to enjoy! 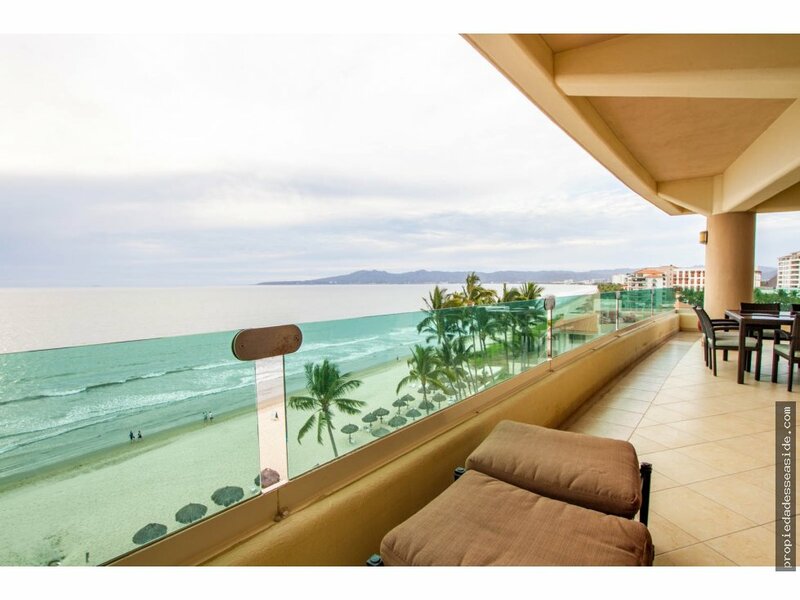 This beautiful beachfront unit in Ocean Terrace has one of the best locations in Nuevo Vallarta, close to shopping centers, restaurants, hospitals, banks, golf courses, sports clubs and just a few minutes from the International Puerto Vallarta Airport. 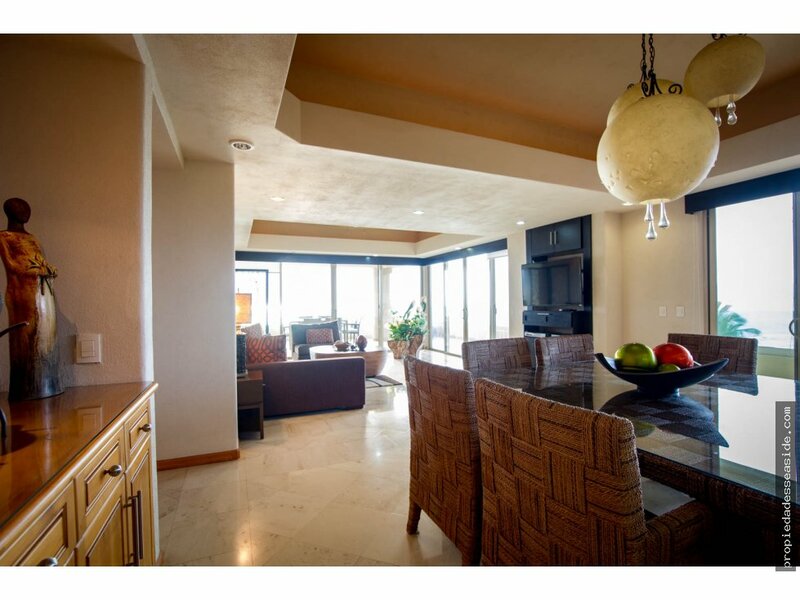 Spacious kitchen with granite island and breakfast bar. 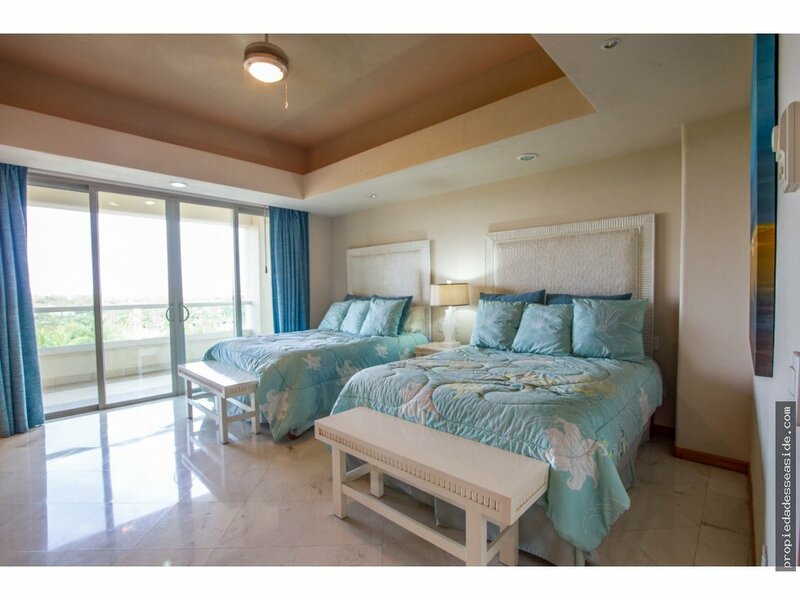 Fully equipped with high quality appliances such as refrigerator, stove and oven (electric), hood, dishwasher, garbage disposal, etc. 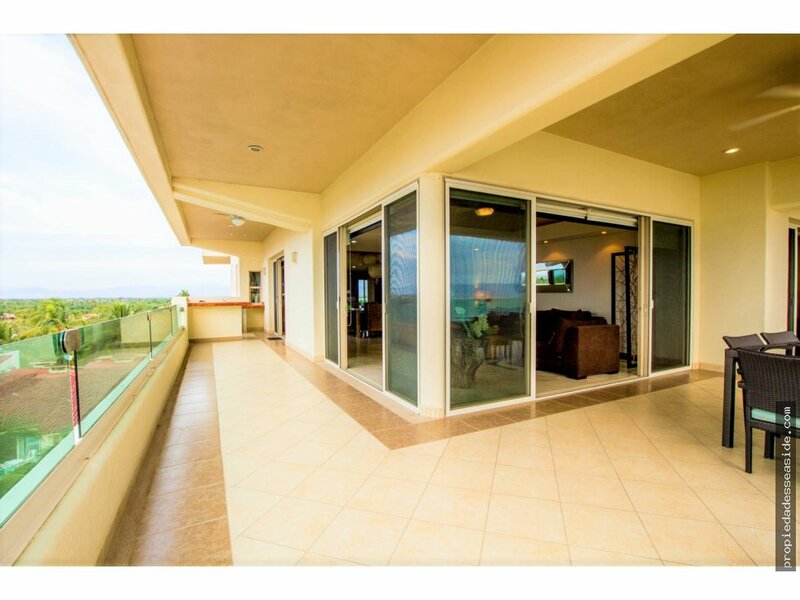 Large living and dining area, with picture windows through which you can enjoy the spectacular ocean, mountains and sunsets views. 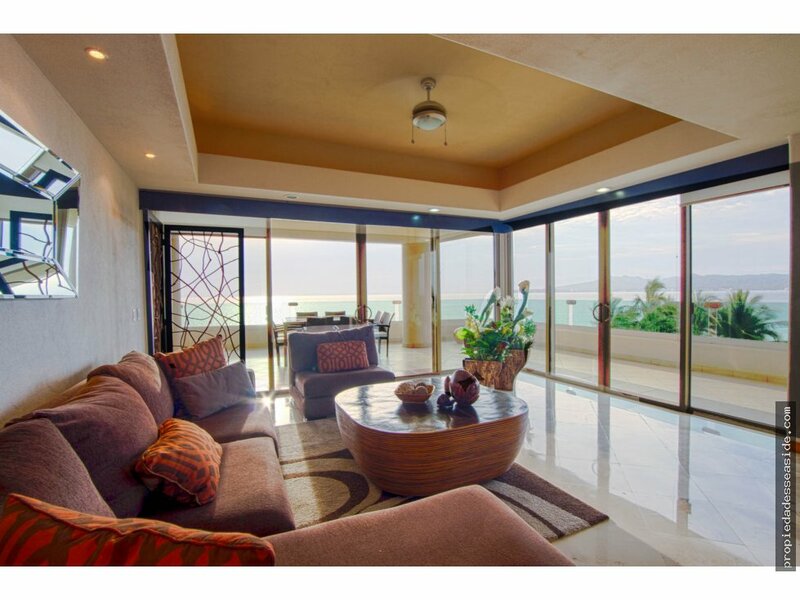 The surrounding terrace is beautiful and has a privileged location, since it allows you to see the entire bay, from Puerto Vallarta to Punta de Mita and the Sierra Madre Occidental. 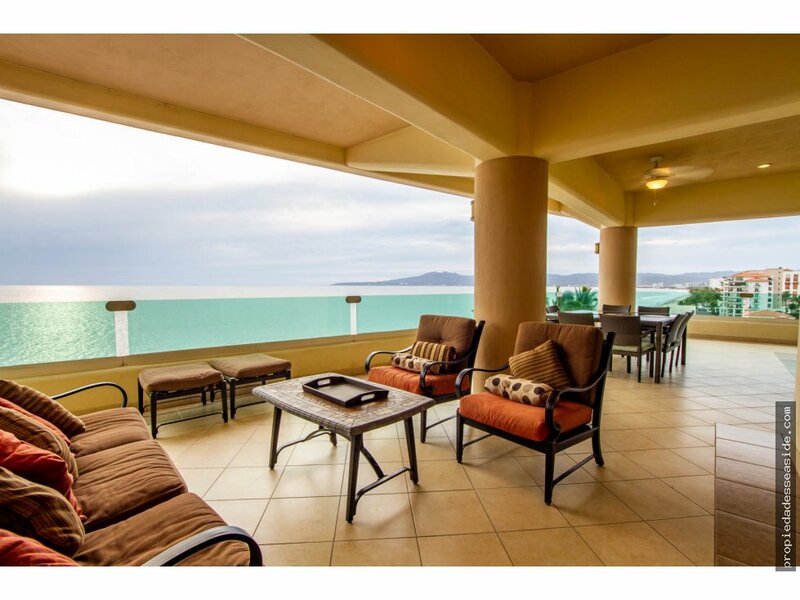 This great unit for sale in Ocean Terrace has an immense and beautiful terrace where you will be able to enjoy the wonderful sunset, ocean, mountains and sunrise views. 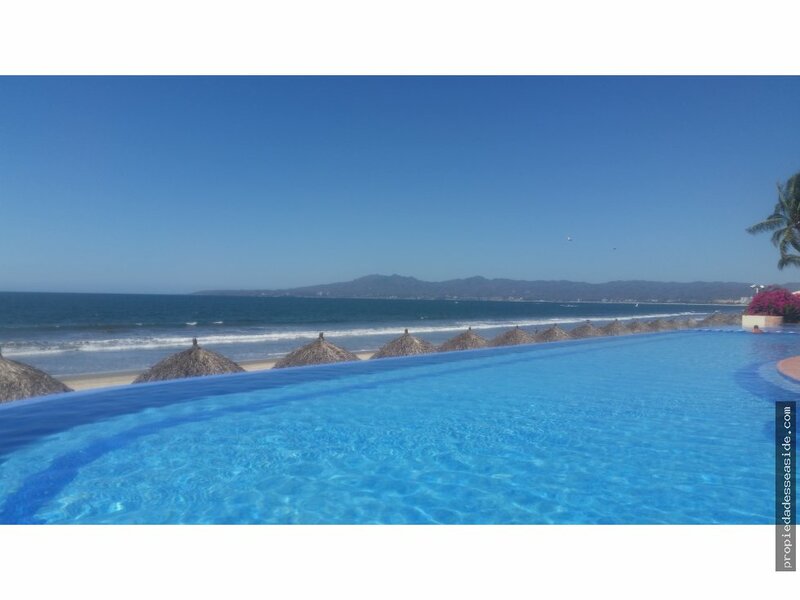 You can also see the view of the impressive pool and the gorgeous gardens of the complex while enjoying the sea breeze. The terrace includes a kitchen and bbq area, as well as a dining room and living room, tables and chairs with cushions and beach beds with parasol, the perfect spot to hold gatherings with family and friends. 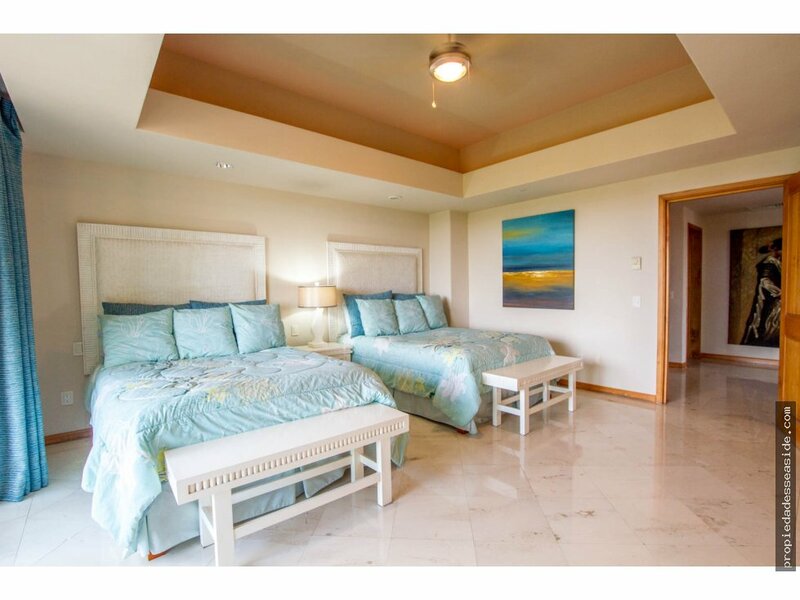 The master bedroom is very spacious and bright with access to the terrace with a spectacular ocean views. 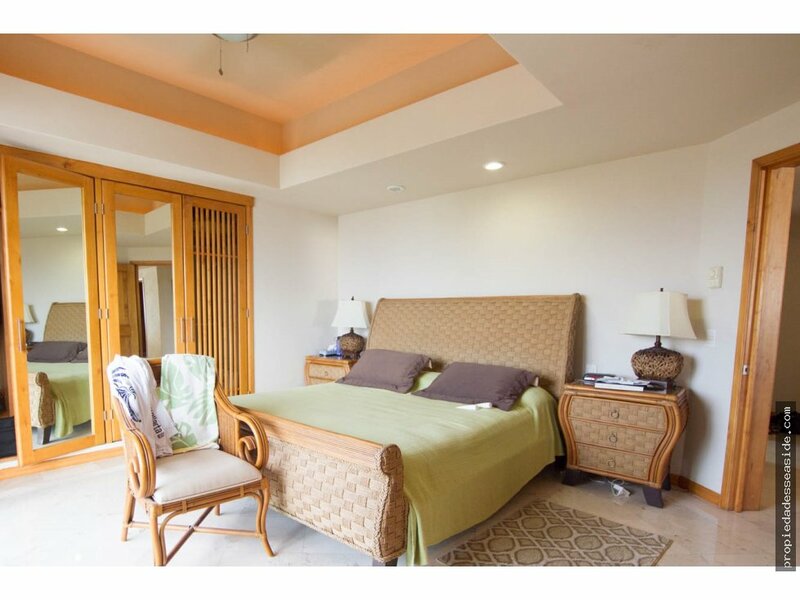 Beautifully decorated with fine rattan and sea grass furniture, king size bed with a set of bureaus, chest of drawers with mirror, recomier and decorative accessories harmonizing with the beautiful furniture. 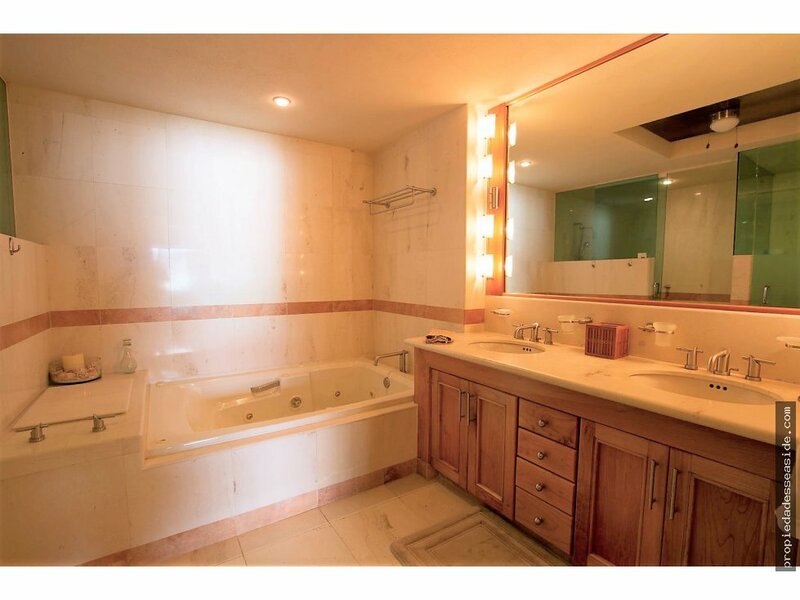 The bathroom has marble finishings and solid maple carpentry and jacuzzi. 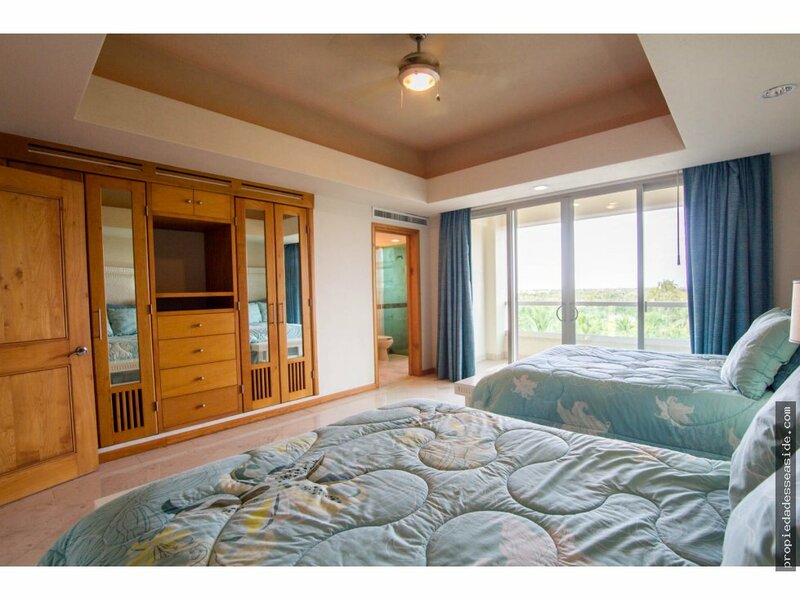 The 2nd bedroom has a Queen Size bed, a wardrobe, its own bathroom and gorgeous mountain and ocean views. 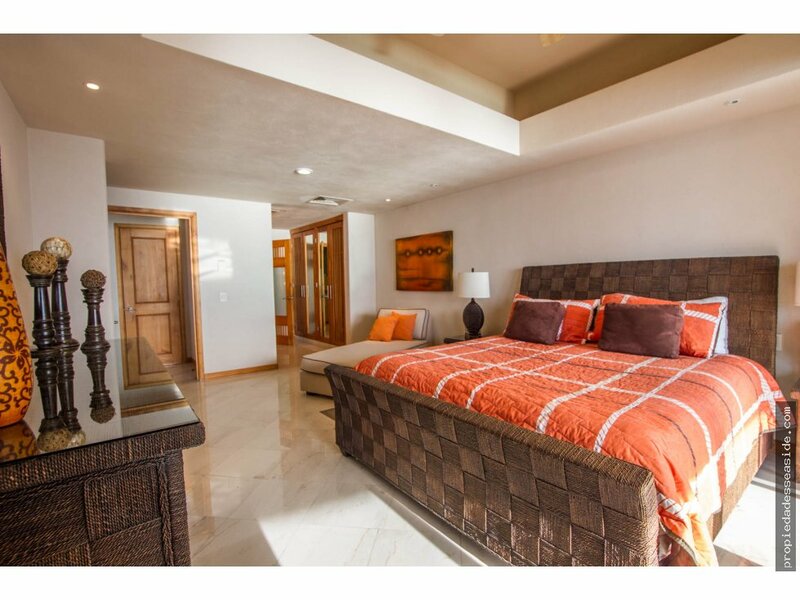 The 3rd bedroom has 2 double beds, with its own bathroom, great as a spare or guest room. 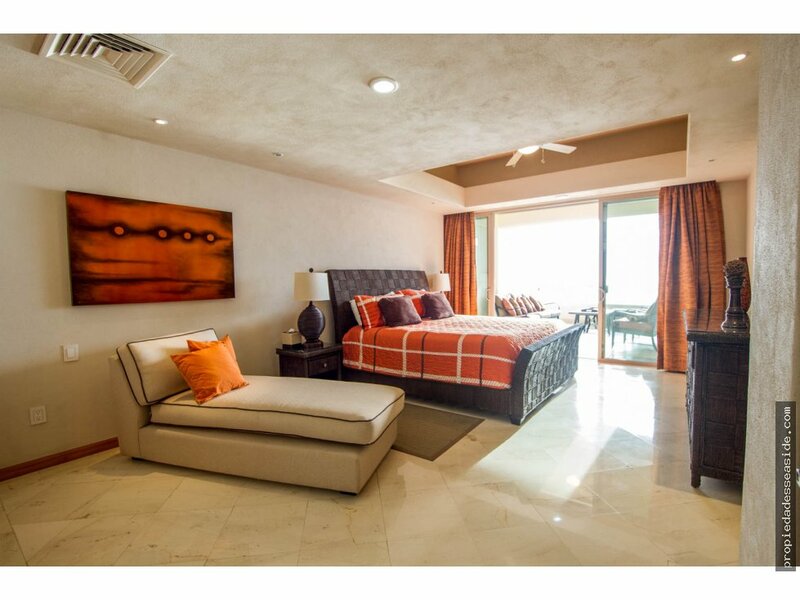 All bedrooms have additional furniture and decorative items. Large laundry room, sink, electric washer and dryer, storage area to keep utensils and cleaning products. 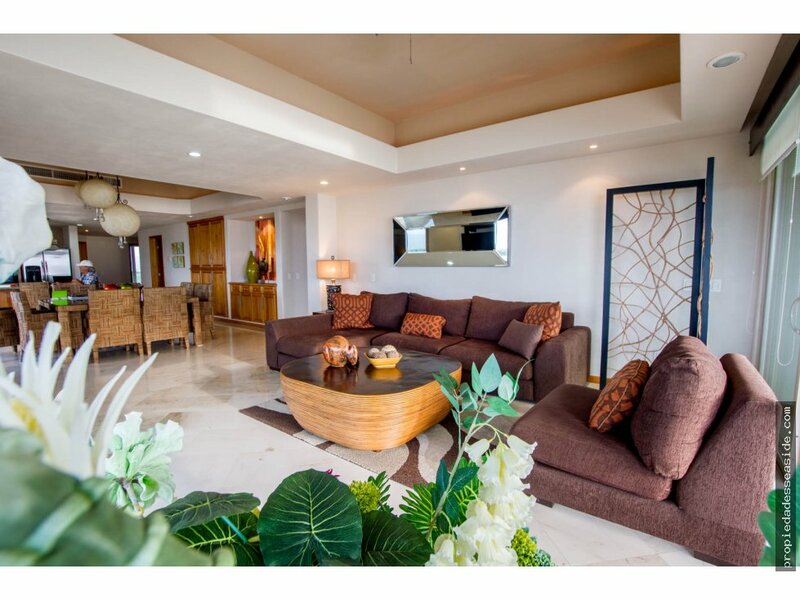 This great unit in Nuevo Vallarta, Nayarit is fully furnished and equipped and offers a beautiful decoration and central air conditioning. 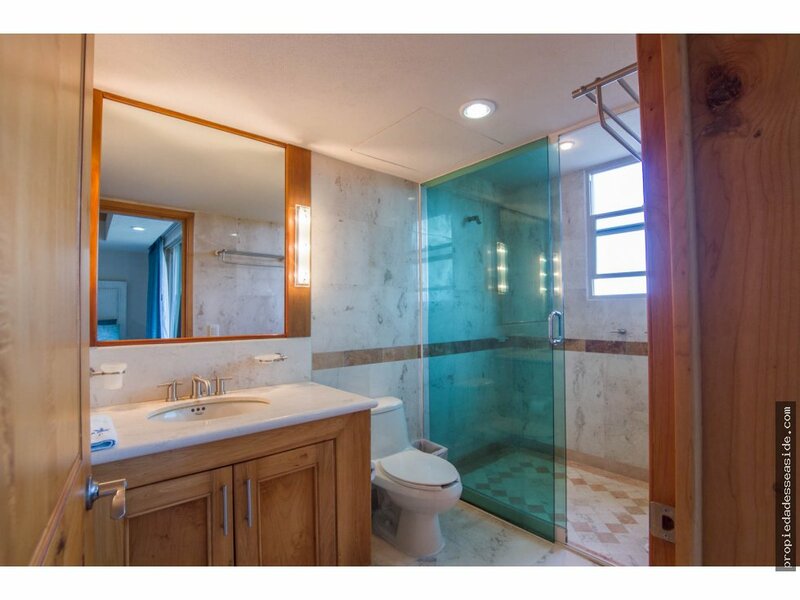 Marble floors, granite countertops in the kitchen, bathrooms with marble finishings. This unit has finishings and furniture of fine Maple wood in doors, closets and kitchen cabinets. It has a garage for 2 cars. 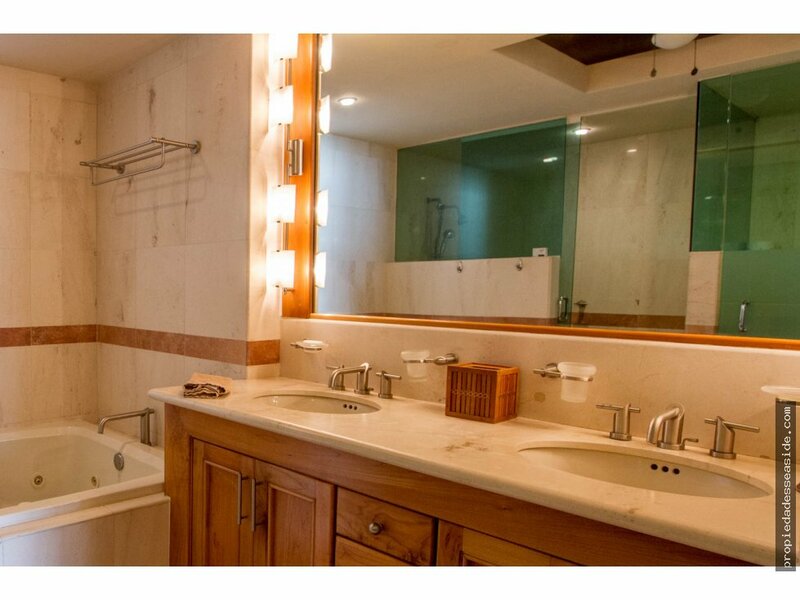 This incredible unit has a large storage room, linen closet and laundry room. 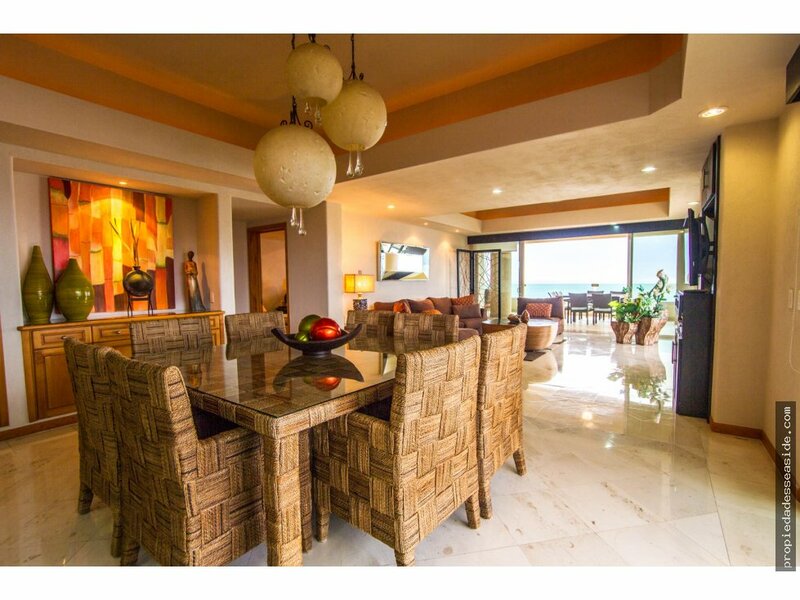 By becoming the owner of this great unit in the Riviera Nayarit, you will be enjoying beautiful and well maintained common areas, which include POOL WITH BAR, PALAPA, BEAUTIFUL GARDENS, ELEVATOR, FOUNTAIN, SECURITY 24/7, BEACH CLUB, ACCESS TO THE BEAUTIFUL BEACH WITH INDIVIDUAL PALAPAS AND BEACH BEDS and of course, fabulous ocean, mountain and garden views. This condo is pet friendly. 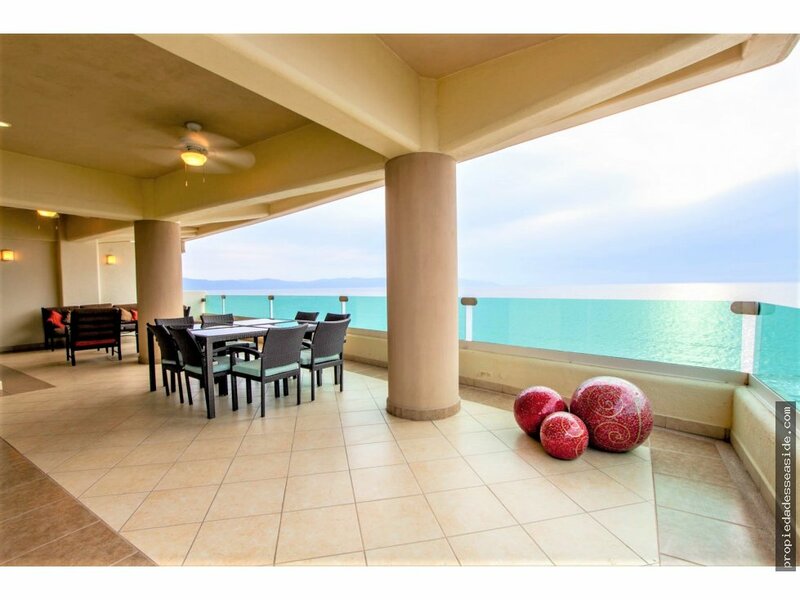 THIS BEAUTIFUL UNIT IN OCEAN TERRACE IS MOVE-IN READY! Imagine living in a paradise and enjoying all the wonders that this unit has to offer!! 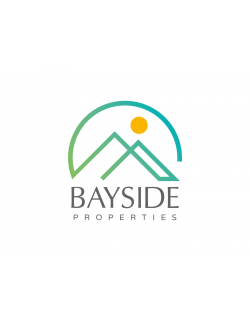 This unit is also ideal for a vacation home or as an investment property which would generate great returns for its magnificent and desirable location.